We work with lots of organisations . . .
14th King's Lynn Wootton's Cub Scout Pack. JGDATA worked with the girls and boys of the 14th King's Lynn Wootton's Cub Pack on Shakespeare's Romeo and Juliet. Using small amounts of traditional script, together with simple costume, John set three major scenes from the play, with everyone taking a part in the action. From stage combat with swords to the death scene. Students also learnt one of our most popular drama games - ROBOTS, designed and created by John to engage pupils in a fun way to follow stage direction, act as a character and move around the stage. It was great fun. I liked the robots game best. Even though I'm a girl I could still take part. John made it good for everyone to join in. John was very funny and it was a really good session. John was kind and we learned a lot about acting in Shakespeare's time. I liked performing for the old people. They were nice and they liked our show. They also gave us mince pies for Christmas. If your organisation or club wold like to run a drama session, then please get in touch. Nearly 30 North Wootton cubs took part in a special, spine-tingling performance for their friends and family before taking it to residents at a nearby care home. 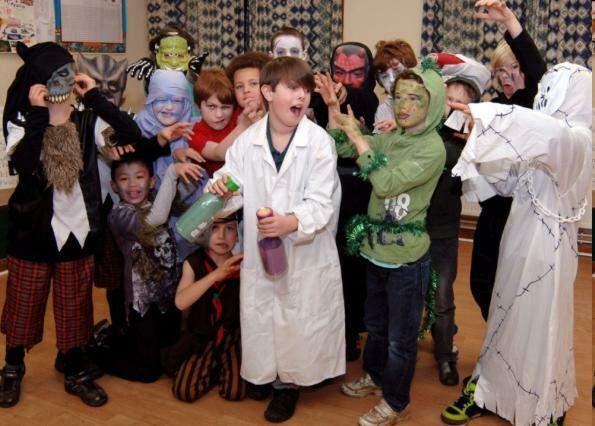 The 14th King’s Lynn Cubs put on a special Monster Mayhem show for their parents and friends before performing the show, written and directed by John Giller, to Woodlands Care Home. The show gave the cubs, all aged between eight and 10-years old, the chance to show of their singing and their best dance moves.